The 2018 Commencement speaker and trustee emerita Ellen J. Kullman (E ’78) faces a considerable task: In a matter of minutes, her commencement address must appeal to listeners across diverse backgrounds, career trajectories and nationalities, with a graduating class of over 1,300-strong in attendance. At first blush, Kullman, former CEO and chair of the board of DuPont, is a fitting choice. A March 27 article in the Daily highlighted Kullman’s success as the first female CEO of DuPont, her background as a female graduate from the Department of Mechanical Engineering and her leadership of Paradigm for Parity, a coalition of business leaders advocating for gender equity in the C-suite. “Ellen Kullman … is a prominent business leader, champion of women’s progress in the workplace, and an alumna and longstanding friend of Tufts who has served our community for many years,” Executive Director of Public Relations Patrick Collins told the Daily in an email. Nevertheless, Kullman’s designation as commencement speaker has sparked controversy among students who feel that she does not represent their values. 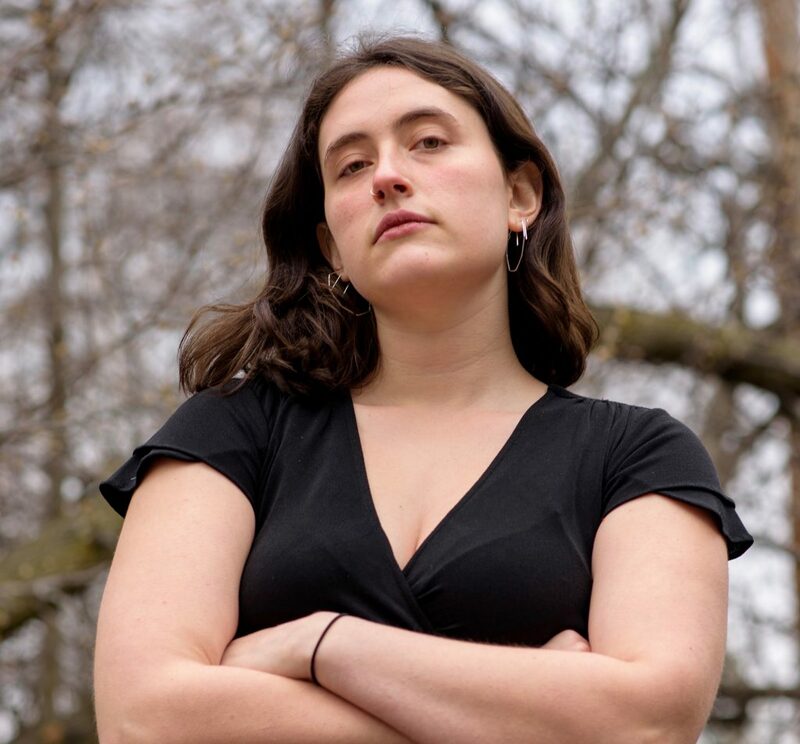 Senior Bianca Hutner, who is the co-president of Tufts Climate Action, expressed disappointment that Tufts had chosen Kullman and said that doing so was giving recognition to a former CEO of a company responsible for significant environmental damage. “[Kullman is] someone who has been complicit in actively producing chemicals that pollute waterways and … destroy habitats and peoples’ livelihoods,” she said. Hutner added that DuPont, by being involved in producing genetically modified seeds through its subsidiary DuPont Pioneer, impoverishes and unfairly extracts profit from farmers. She expressed sadness that Tufts had selected a speaker formerly in charge of a business responsible for such large-scale environmental degradation. “I thought they would understand that this is something students would be upset about,” Hutner said. Despite the history of DuPont, Sheldon Krimsky, professor of urban and environmental policy and planning, argued that the environmental damage cannot necessarily be attributed directly to Kullman, even if she was working for the company. He stated that in researching Kullman’s background, he had found no indications that she had been directly responsible for any environmental damage or harmful actions taken by the company. “I haven’t seen any evidence at all from any of the literature that she’s been implicated in any scandals, she’s been implicated in any advocacy, strong advocacy, toward keeping a product that’s environmentally dangerous,” he said. Two months after Kullman stepped down as CEO and chair, DuPont announced a merger with Dow Chemical to form what is now the world’s largest chemical company. Krimsky noted that he had protested against Dow during the Vietnam War. Krimsky, who has conducted extensive research regarding the impact of corporate influence on science, said he had also observed efforts by DuPont to avoid regulation of chemicals potentially known to be harmful. “If I would have to draw a large brushstroke … they are a very traditional chemical company that try to protect their interests and keep chemicals on the market even when there’s scientific evidence that they might be dangerous to humans,” he said. Nevertheless, Krimsky lauded Kullman for her success in a typically male-dominated field as an engineer and business leader. In contrast, senior Emma Plankey expressed that as a woman studying computer science, she was dismayed that Tufts had chosen Kullman to represent women in science, technology, engineering and mathematics (STEM) fields. Plankey said that she believed Kullman had been chosen to speak because of her wealth and connections to the university. Kullman served on Tufts’ Board of Trustees from 2002 to 2016, and is currently a member of the School of Engineering’s Board of Advisors. Plankey further stated that as a low-income student, she felt that Kullman represented many of the barriers she had encountered while studying at Tufts. “Having struggled a lot with class anxiety over my four years at Tufts, it’s a bit of an insult to have this be the send-off that I’m getting,” she said. George Behrakis, Tufts Republicans president, expressed admiration for Kullman’s success in the business world, stating that he believed she had achieved incredible success as a female engineer in the corporate sphere. Behrakis said he wished students wouldn’t take issue with a commencement speaker before listening to their speech. He stated that he wanted to hear Kullman’s speech no matter her background or political leaning. Molly Lipman, a sophomore studying mechanical engineering, contended that despite DuPont’s history, she still saw Kullman as an inspiring example of a female engineer who succeeded in a difficult environment. Lipman argued that while she wouldn’t want her career trajectory to closely resemble Kullman’s, she understood why Kullman made the choices she had made. “Sometimes as a woman in a field that has a lot of barriers to you … you have to take opportunities that have problematic parts to them. I don’t fault her for trying to further her career by taking a problematic job,” she said.